"This is a delicious smoked chicken salad with almonds and fresh basil. Serve it over lettuce or on a sandwich." 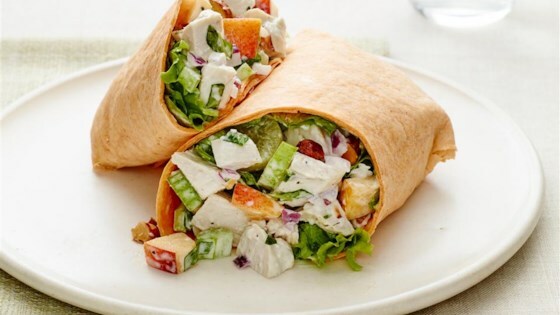 In a large bowl, combine the smoked chicken, grapes, red onion, celery, basil, almonds, and mayonnaise. Mix well; chill and serve. This was OK--nothing really fantastic. Didn't go over that well in our house, but we ate it anyway. Still looking for that perfect chicken salad. I followed the receipe at it was absolute yummy. I added a little bit of pepper, otherwise I wouldn't change a thing. Will make it again for sure.